Srimati Radharani has the potency to fully capture and satisfy Krsna, however then comes the greatest mystery of all time. The greatest mystery is that when Krsna leaves Vrndavan, he leaves Radharani in the ultimate separation. Krsna always promised to return from Mathura to Vrndavan, but he never did. He left Radharani in that condition of separation, which leaves us wondering, how is this happening? 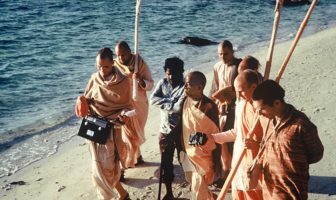 It is understood that this mood of separation is the highest love that one can experience for Krsna because when one is in separation from Krsna, the attachment to Krsna increases significantly. The eagerness to be with Krsna and the remembrance of Krsna is much stronger during the separation mood than when it is in the presence of Krsna. So this is the most puzzling aspect of all of the teachings of Sri Caitanya Mahaprabhu, that the mood of separation experienced by Srimati Radharani is the topmost experience of the love of Krsna! This is completely bewildering! In the Prema-Samputa, Srila Visvanatha Cakravarti Thakur describes how Srimati Radharani used to live in Yavat. 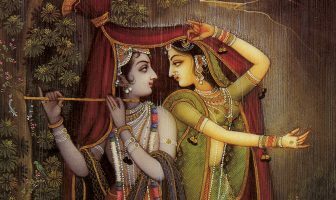 As she was married, she was having great difficulty in meeting Krsna and was therefore in the ultimate condition of separation. One day, in the courtyard of Radharani’s house, there appeared a very beautiful female form. She was far more than just an ordinary looking person; she was practically looking like a goddess. Srimati Radharani immediately sent her servant to inquire who this personality was, however the personality would not utter a word. The personality revealed that she was in fact a demi-goddess, who had appeared to see Radharani and express the sadness in her heart to Radharani. 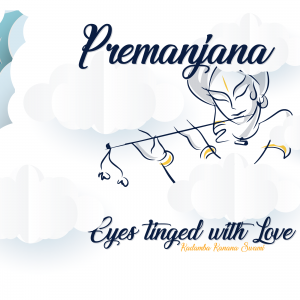 The distress that the demi-goddess was feeling was due to the way that Krsna was treating Srimati Radharani despite her dedication and pure love for him. She further expressed that all the other demigods were also seeing Srimati Radharani’s pain and could no longer tolerate it. Srimati Radharani agreed to this and started meditating on Krsna in a deep thought, with a deep desire for Krsna to appear. In doing so, she closed her eyes to concentrate, and it was during this moment that the demi-goddess changed her form back to the original form of Krsna. When Radharani opened her eyes, she saw to her ecstasy that it was Krsna who now stood in front of her. So in this way Krsna was testing the love of Srimati Radharani to see the extent to which she was dedicated to him. And even though she was in separation from him, her faith was strong and her love was in no way diminished by this feeling of separation. 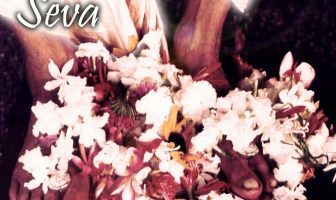 In this way, Srila Visvanatha Cakravarti Thakur sheds some light on the great mystery of separation and how a devotee, in separation from Krsna, is experiencing the greatest love, because when one is loving Krsna, even the slightest moment of not being with him becomes overwhelming. For us, we may be thinking, “Oh how nice. 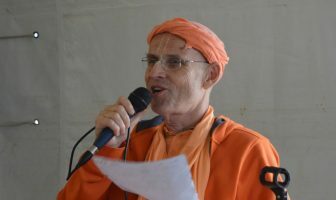 Swamis are speaking about pastimes of Radha and Krsna. Very nice, but what’s next?” Our minds are restless and the eagerness is simply not there. 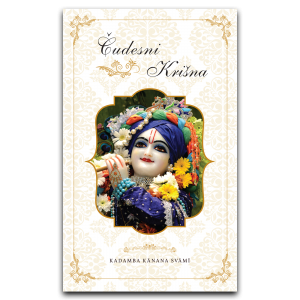 But what can assist us is reading, hearing and contemplating on such powerful experiences of Srimati Radharani, who even in the mood of separation, has such an intense remembrance of Krsna.